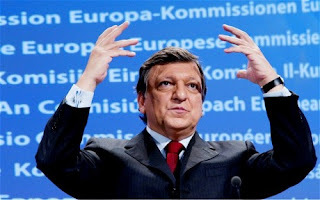 The next step on the rocky road of the Eurozone crisis is the financial union, proposed by Barroso last weekend. 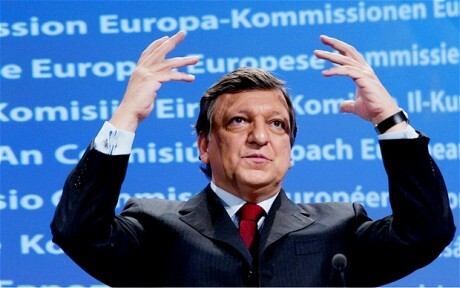 The proposal for a banking union is suggested as a way of saving the euro and the European financial system. If we will not take this step then the finance houses will not trust us and will destroy us. But just a minute. If the financiers are so all powerful how come they needed us to bail them out? This is one basic logical flaw. Another is why a system that failed because it was too consolidated and too centralised is to be saved by becoming entirely centralised, with just one regulator overseeing all of Europe's 6000 banks. The answer is that German money is needed to make the banking union work, and the German monetary authorities will not agree to this unless they have control of what those banks are able to do. A proposal so draconian and disempowering will never be acceptable to banks in the countries of the European periphery that still have the economic strength to resist, which will make withdrawal from the EU much more likely, and especially in the UK. The proposal is the opposite of a real solution to the crisis, which would rely on more diversity, the breaking up of the larger banks into smaller banks more responsive to their local communities, and the creation of many currencies rather than the monopoly of the Euro. The public debate about the Eurozone crisis has been lamentably shallow. A recent exception was an interview with Hans-Werner Sinn on Hardtalk. He was responding to George Soros's recent call that Germany should either 'lead or leave' the euro, which Sinn portrayed as a veiled demand for Germany to pay more. As a financier it is unsurprising that Soros should call for the German government to create more money that, as previously identified on a guest post on this blog, will mostly end up in the hands of financiers. The most interesting parts of the interview have been cut from this video, although Sinn does identify how the 'policy of making private debt contracts public debt contracts is dangerous to Europe'. By increasing tensions between national governments, as the northern countries become the creditors of the southern European countries. This will raise tensions between the nations of Europe, the very tensions that the EU was set up to diminish. The whole interview, available as a podcast, is well worth listening to, as a heterodox view of the Eurozone crisis that also exposes the ignorance and lack of understanding of BBC staff.